Chrysalis Collaborations provides a wide range of writing assistance, from mentoring your employees on developing grants or publications to writing reports, policies, and analysis documents of any size. Expertise in translating research or internal agency documents into materials for the general public, staff, or policy makers. Writing technical reports, how-to guides, and evidence based documents for government, consumers, and other stakeholders. Development of organization policy and procedure documents for agency staff and government/accreditation body reports and applications. Professional editing, mentoring of staff in writing for publication in peer reviewed venues. After developing several webinars for Principal Investigators Association (PIA) an organization designed to provide training and detailed guidelines for health care researchers on various aspects of research and fundraising, we were asked to develop written guides for PIA. So far, we have produced seven comprehensive guides in the space of two years. The guides offer practical tools for people just starting out in research or fundraising, as well as introducing readers to key literature on each topic, and can supplement university research methods textbooks for classroom use. Some of these were expansions on earlier webinars, including human subjects research (IRB) applications for multi-methods and qualitative projects, multi-methods research, participatory action research, and interdisciplinary team research projects. These guides drew on extensive experience teaching and performing applied research. PIA projects also included revising existing and creating new guides on various types of NIH grant mechanisms, including R24 (grants for new research fields, cross disciplinary or cross institutional projects, and helping minority or new researchers translate research into practice), revising and resubmitting NIH grants, and a special version of PIAs NIH major grants mechanism (R01) for social scientist. 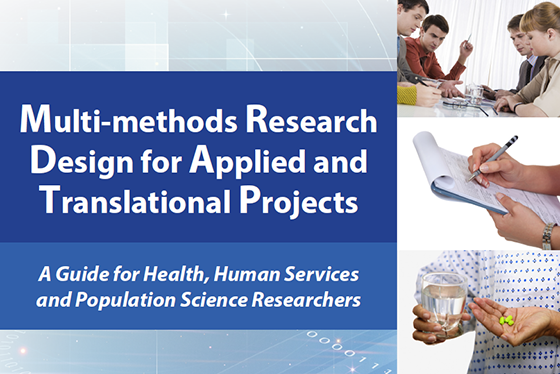 Each of these guides employs a combination of statistical analysis of the NIH grants database, interviews with NIH staff involved in each type of grant, and interviews with and sample grants from seasoned researchers. We used our networks in health fields in developing these products. Most run approximately 75 to 150 pages and were produced in two to three months.